The Spectrum Retreat is the brainchild of Dan Smith, who won the BAFTA Young Game Designers Award in 2016 for his first-person puzzler prototype when he was only 18 years old. Since then, Ripstone’s internal development team has partnered with Smith to evolve his award-winning prototype into a trippy, art deco-inspired sci-fi adventure. 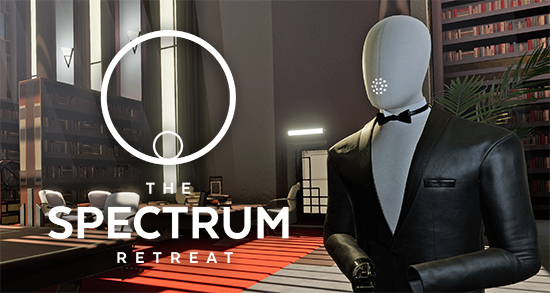 The Spectrum Retreat puts players in the role of a guest at the peculiar, pristine hotel, The Penrose, where nothing is as it seems. You’ve been here as long as you can remember, with no idea why, and it’s up to you to solve the mystery of this uncanny resort. To do this, you’ll have to solve a series of increasingly complex colour-coded puzzles in an effort to uncover the true purpose of The Penrose. BAFTA Young Game Designer winner, Dan Smith, and publisher, Ripstone Games, are proud to bring its acclaimed sci-fi puzzler The Spectrum Retreat to the Nintendo Switch eShop on September 13th, where it will cost £9.99 €12.99 $12.99. The Spectrum Retreat will be available in Europe and North America, with a release in Germany and Russia to follow later this year - 2018.